I have learnt many important lessons while travelling but after a recent trip to the Zoo I have been reminded of some very important things every traveler should know. You may be a little confused and surprised that the Zoo can teach us more than just fun facts about animals but trust me when I say that these lessons are some of the best things I have taken on board over my years of travel. I won’t ramble on for too long, I promise, (I do that a lot, but you will get used to it) but before I share these lessons with you all I would like to invite you on my journey to the Zoo, you may even be able to figure out the lessons yourself before the big reveal! The summer heat was too impatient and decided to sneak in a little earlier than usual (for all my foreign readers, it is currently Spring at the moment in Australia and Summer is not expected for another 2 months, so this 37°C/100°F was very unexpected and overwhelming) and it made spending a day at the Zoo, which is pretty exhausting already, even more tiring but the heat didn’t stop me! 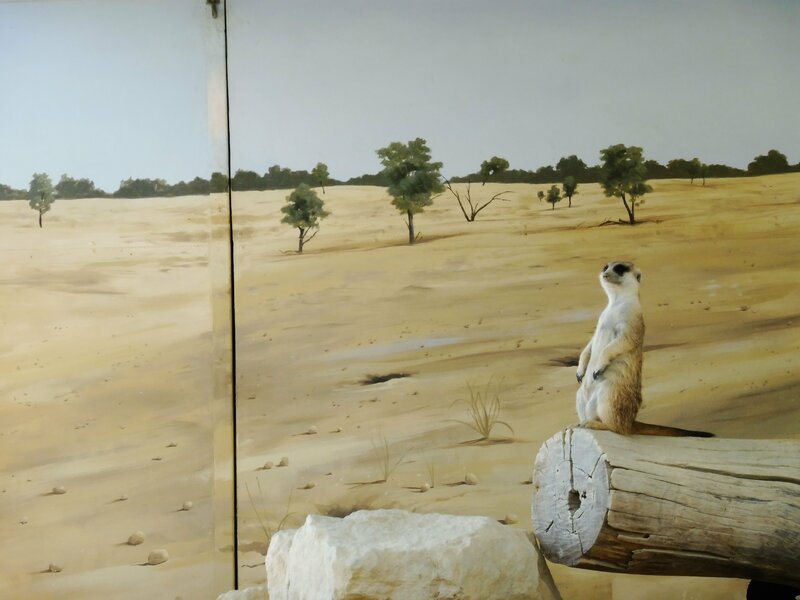 For years now I have been pretty obsessed with meerkats (Don’t judge, i’m sure you have you’re own weird obsessions) and knowing that the Zoo had recently come across some babies, the Meerkat enclosure was at the top of my list for my day at the Zoo. WARNING! More meerkat pictures ahead! Mum and I somehow managed to end up without a map and as it as our first time at this particular Zoo we had no idea where anything was, making my search for meerkats a little more difficult than expected. As someone with a horrible sense of direction a map probably wouldn’t have helped much anyway. Mum took the lead as we went past the alligators, camels and emus but there were still no meerkats in sight. We arrived at the kangaroo area and I couldn’t say no, especially because we had just bought a bag of food to feed all of the ‘interactive’ animals. I was surprised, not only by the fact that these particular kangaroos were albino but at how much they loved eating ice cream cones! Before I knew it the food was gone and the kangaroos no longer seemed to be interested with my company. 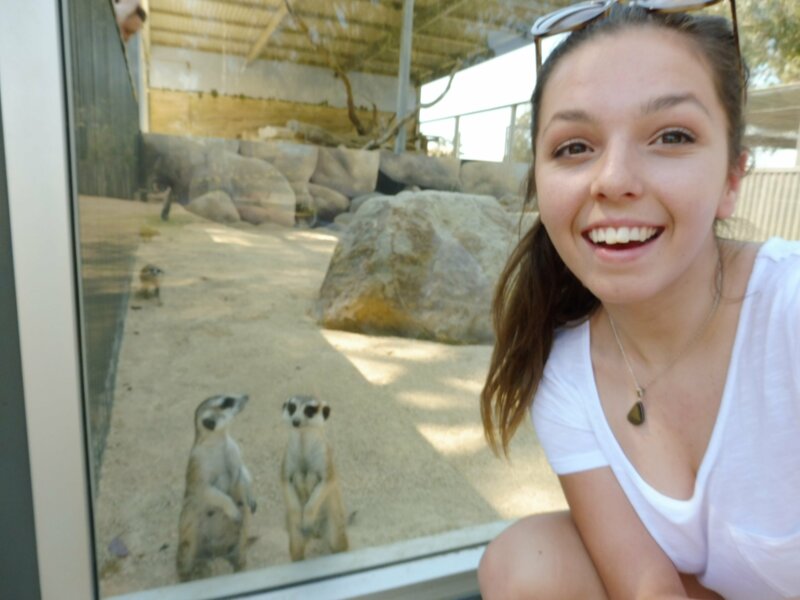 Monkeys… turtles… MEERKATS!!! WE FOUND THEM! The monkey show was on but this was so much better! I could have spent the whole day there, I never wanted to leave but Mum on the other hand was not as thrilled about those ideas as I was. I am not saying she didn’t enjoying watching these furry little creatures scurry around but she just didn’t enjoy it as much as I did and I could understand that, I feel the same way about having to clean the house. After putting mum through an hour of meerkat watching it was only fair that she got to drag me through the bird aviary. I should add that I was somewhat frightened by this because of past experience where a bird in a very similar aviary decided to take a chunk out of my Dad’s neck and I am quite happy with my neck and would prefer it to stay intact. All fear aside, my neck survived and believe it or not, I enjoyed the experience almost as much as all of these animals enjoyed eating ice cream cones! But most importantly, Mum enjoyed the experience. 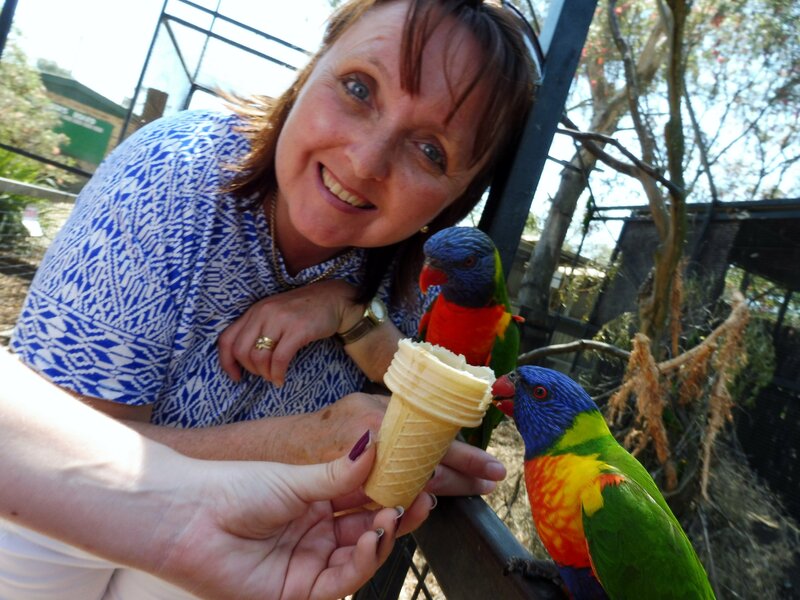 I love my Mum more than these birds love ice cream cones! Wombats, lizards and koalas, My zoo day was over. I am sure some of you may have already picked up on a few things but let me clear some of these ‘lessons’ up for you. -Don’t bypass experiences and opportunities especially if it is because you are too focused on something else. -Feel free to spend a little more time somewhere or doing something you are interested in rather than trying to cram everything in. Priorities. 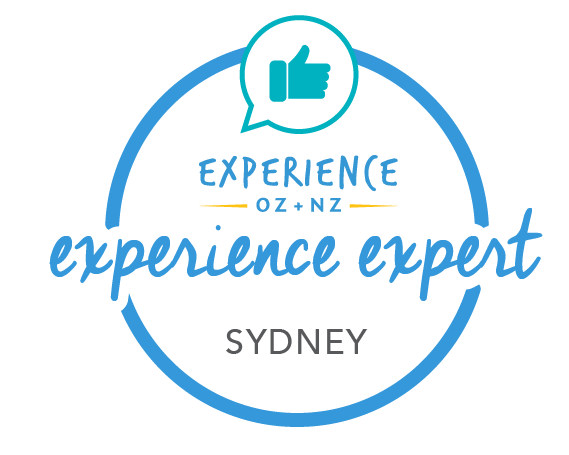 -Learn about the locals and interact with them as much as possible. -If you are with other people make sure you consider their wants and needs as well as your own. -Remember that when it comes to traveling with others you will have to make sacrifices but also make sure you appreciate the sacrifices they make for you. -Don’t be afraid to get lost. -Make sure to have rest breaks. Stay hydrated! We learn so many things during our lifetime, often from some of the most expected places but no matter who by or where these lessons are learnt, it is the way you embrace them that makes all the difference.